This Cobalt blue zig zag rug has a shimmering golden thread and alternating peach and cream panels, finished with luxury twisted tassels and a woven Artisans & Adventurers tag. Available in 3 colours, this rug gives you an instant style update almost anywhere in the home. 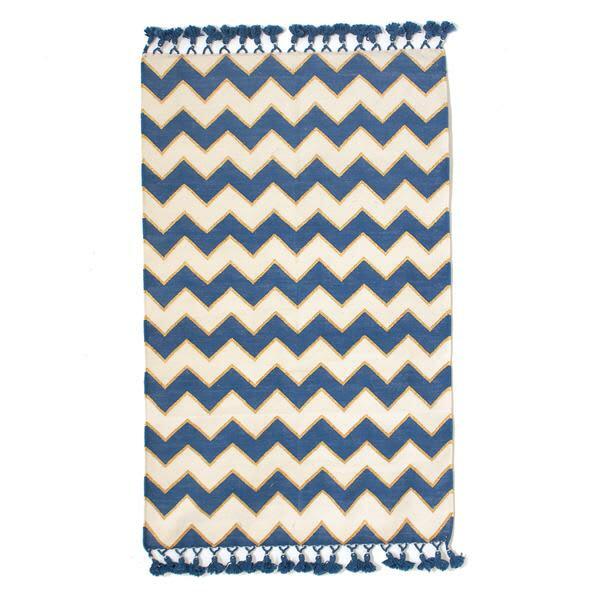 Our Zig Zag rugs come in 4 sizes.